Each year along the Eastern seacoast, the wild ponies of Assateague Island are driven across a narrow strip of ocean to Chincoteague. There the shaggy, untamed ponies are sold. When young Paul and Maureen Beebe rescue a drowning newborn foal, they take her home to nearby Pony Farm. Now the foal has grown into their free-spirited pony, Misty, and has been the subject of a popular children's book. One day movie-makers appear on the farm, asking to make a motion picture about Misty and the other wild ponies. Paul and Maureen are beside themselves with excitement-until they learn their beloved pet will have to leave the farm. The children's surprising solution to their problem has touched the hearts of youngsters for generations. 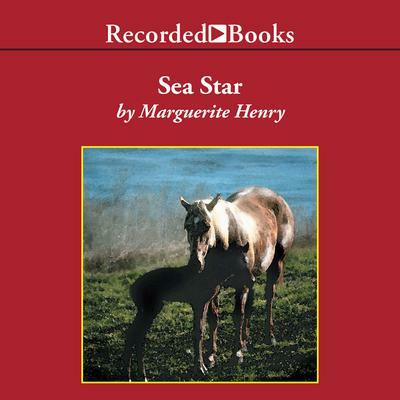 Newbery Award-winning author Marguerite Henry based this beguiling sequel to Misty of Chincoteague on real-life people and animals. Narrator John McDonough's warm-hearted performance whisks readers back to a gentler time and place.